Carol Hunter established Impact Leadership in January 2009. Since that time Mrs. Hunter has been very active in the field of educational leadership. She has recently published, “REAL LEADERSHIP REAL CHANGE” which is enjoying international success. Mrs. Hunter has worked extensively with Excellence Canada (formerly The National Quality Institute), leading her school to achieve The Order of Excellence from Canada Awards for Excellence. The award is the result of a rigorous process and honours organizations for their results and significant contribution to the quality of life of Canadians. Throughout her career, Mrs. Hunter has spoken at numerous international education and quality conferences on topics such as: Sustaining Excellence in Public Education, Engagement and Empowerment, Character Development, Safe and Caring Schools, and Strategic Planning for Change. She is passionate about making real change in public education that reaches deeper than test scores. She is committed to creating learning environments which are safe, caring and bully-free. 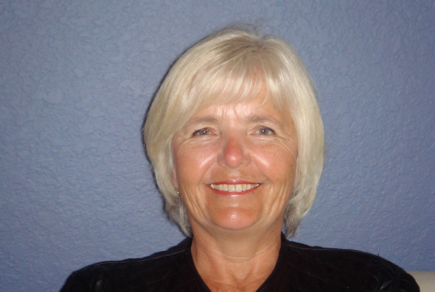 Before establishing Impact Leadership, Carol Hunter had a very successful career as a teacher and principal with the Ottawa-Carleton District School Board and Edmonton Public Schools. During her career, Mrs. Hunter was seconded to work on the amalgamation of policies, procedures and people of the former Ottawa and Carleton Boards of Education (OBE and CBE). Additionally, she led the development of the OBE’s Teacher Evaluation for Growth Program and was part of the team which developed the OBE’s Employee Morale Survey. As well, she has been part of the Ottawa-Carleton District School Board’s Leadership Mentoring Program and has mentored many prospective leaders informally. Mrs. Hunter brings a wealth of knowledge and hands-on experience in educational leadership and change implementation. Her background, experience and proven leadership skills make Mrs. Hunter ideally suited to engage and empower leaders to be driven by their beliefs, values and integrity, have a real impact and make a difference. To engage and empower others for extraordinary results. Leadership which is driven by beliefs, values, integrity and impact.